If you truly want your website to have the best potential to go viral, you should consider content curation WordPress themes. These allow you to quickly put together a page for gathering and collection the best content there is currently available on the web. One page to sport it all. More and more users are relying on one source which covers all of their interests. Instead of wasting time, jumping from site to site, one platform has it all available and carefully curated for them. With so much quality content, yet at the same time a ton of poor grade stuff, available on the web it can get time-consuming going through it in a reliable space of time. Time is money. In brief, curating content is basically assembling data from a variety of authoritative sources. But there is way more to it than just picking what is already hot and crossing fingers it will go viral. First and foremost, you have to be organized, that is a fact. After a while of doing it, you will develop a custom strategy, a system if you will, of collecting the material for your trendy website. Rewriting, categorization and arranging it in a meaningful way follows. It’s a skill you can develop. To save you time and have all the best tools available in one place, you came to the right place. We scoured the web for you and put together a list of the top themes for content curation. Bring in front of the audience only what is worth reading and leave all the rest behind. Keep your news curation website updated regularly with top-notch texts, pictures, videos and everything in between and they will surely come back for more. 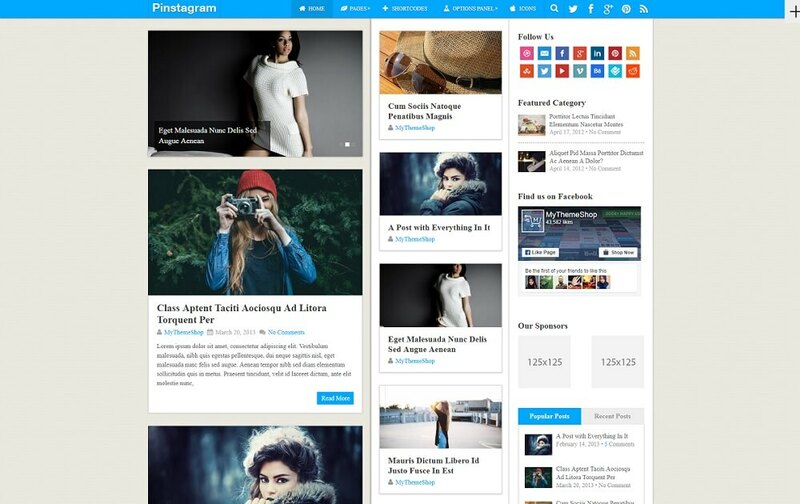 Choose the product from the best content curation WordPress themes collection you like best and craft a page now. Make it look modern and start attracting an endless number of guests. 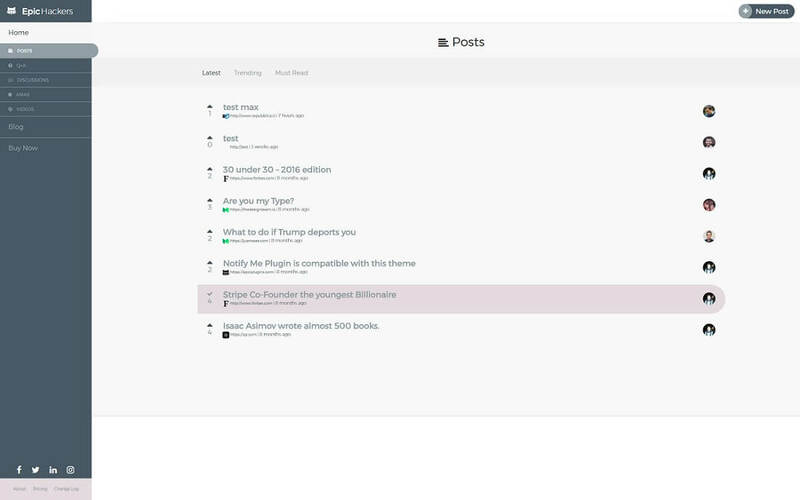 Similar to the highly popular Product Hunt platform, you can create your very own version with help from Plugin Hunt theme. A news curation related website can easily be forged and you need no prior coding or design skills to make it happen. Use the theme to build a popular page with all the latest and greatest. Cover one niche, one industry or make a generic page which includes just about everything. Colors and fonts of Plugin Hunt WordPress theme are fully customizable for you to individualize the look of it easily. Visitors can submit content and help you with the process of gathering all the needed material for an engaging and up-to-date website. 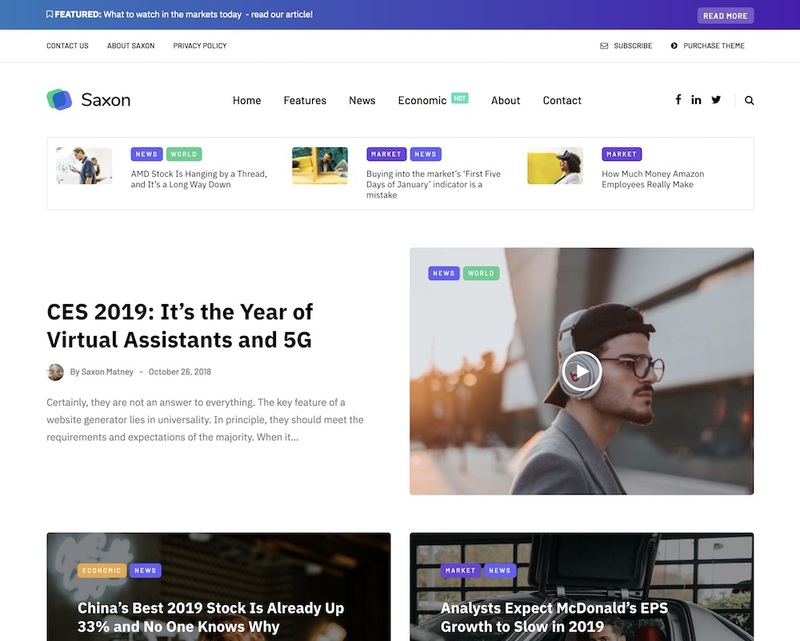 If you need a solid WordPress theme for curating spectacular and compelling content, you better not miss Saxon. With Saxon, you will have a small breeze setting up the must-have page and take your project to new heights effortlessly. With its numerous predesigned demo layouts and other handy components, web development all of a sudden becomes fun and entertaining. Besides, dealing with coding and advance design tasks is also not necessary, what makes Saxon very user-friendly and convenient. Moreover, Saxon is mobile-ready, compatible with Gutenberg and in tune with retina screens and modern web browsers. The experience skimming through your content and reading enticing articles will be outstanding with Saxon. 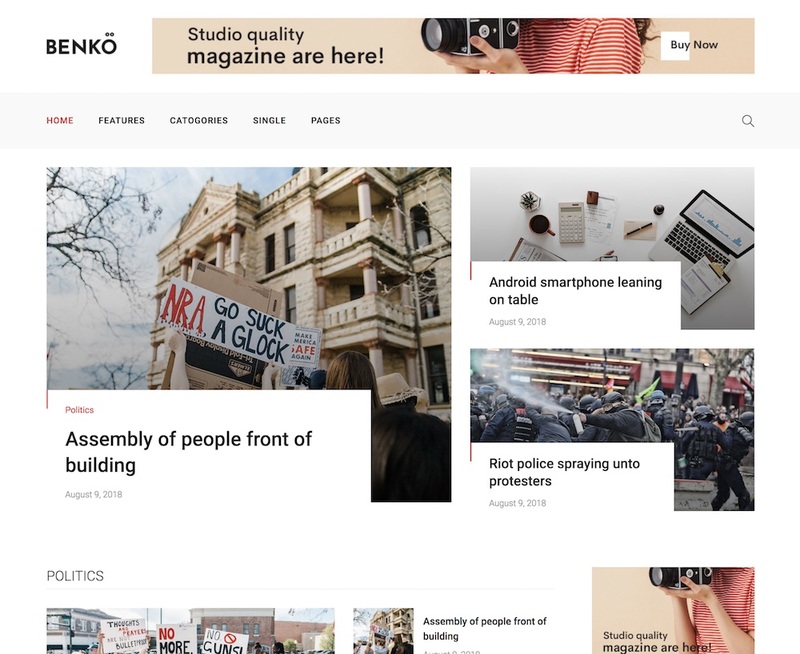 If you would like to differentiate yourself from the masses, Benko is the creative content curation WordPress theme you need. With its clean, minimal and sophisticated web design, Benko brings to the table a one-of-a-kind experience that everyone will absolutely adore. Stunning home layouts and internal pages, various headers, multi-level drop-down menu, preset ad placements and unlimited color options, Benko has it all and then some. You can start your online project instantly, all it takes is one click to import the demo you dig, and that’s pretty much it. From then on, you can either use Benko as is or improve and enhance it with your individual touches and customize the web design to your heart’s content. Another tool which can help you clone a well-liked website, a service called, Growth Hackers. We are talking about Epic Hackers which will turn your idea into reality quickly and efficiently. Look no further if you plan to help companies, brands and communities grow their potential above and beyond. Your ultimate site can sport all sorts of features like links, AMA (ask me anything), discussions view and more. If you stumbled across a fantastic article, the Posts section can have it featured for others to enjoy it. You are just moments away from crafting an online platform for like-minded people. 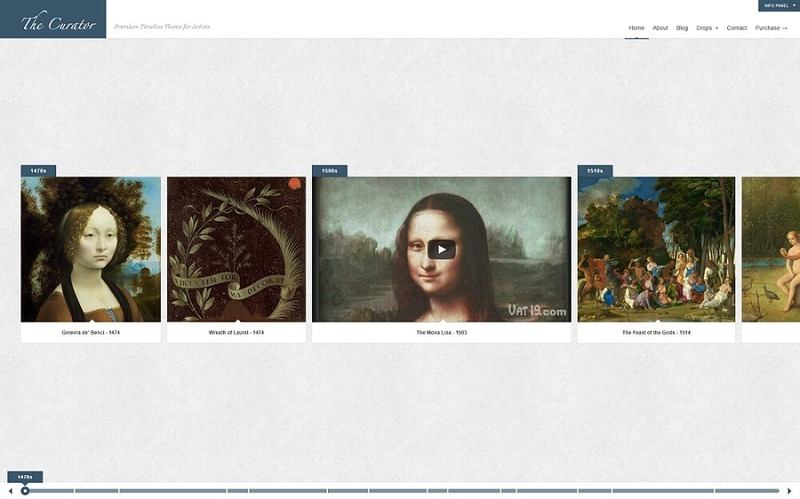 WordPress theme specifically developed for artists and museums interested in displaying their content in a chronological format. But bear in mind, you you do not have to limit yourself with The Curator theme. Anyone who is interested in this type of content presentation can benefit from it and the features it comes with. Now you can show your work or any other content in a historical timeline that will help you impress your visitors and hook them immediately. Three of the newest features worth mentioning are left and right swipe (touch friendly), access to theme options via Theme customizer and overflow text scroll for those long timeline titles. Control the timeline by year, decade, century, etc. A sophisticated way of showcasing all the trendy and most read stories from around the web. 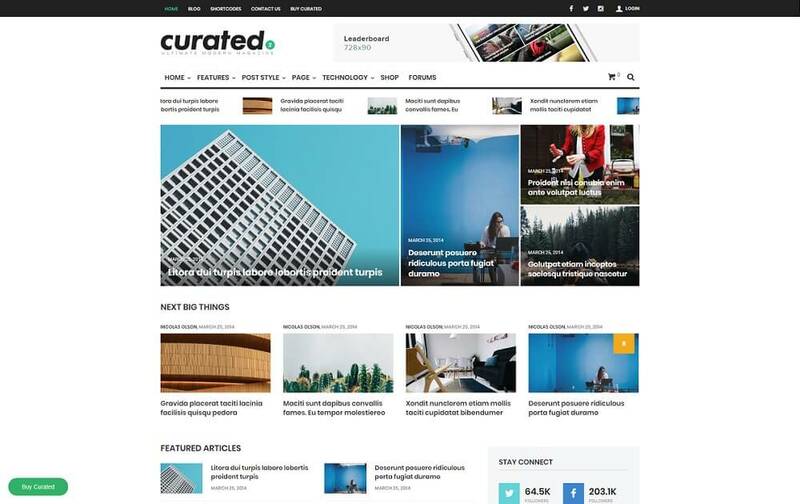 Curated is a content curation WordPress theme to realize your online project and start attracting new visitors as soon as possible. With its practical drag and drop page builder, you will have plenty of fun putting together the ideal page. Who knows, maybe is your news curation website which will become the next big hit. Highly extensible, Curated theme is ready to take any challenge and allows scaling your project beyond belief. Responsiveness and awesome mobile navigation ensure a top-notch user experience for the guests to come back for more. 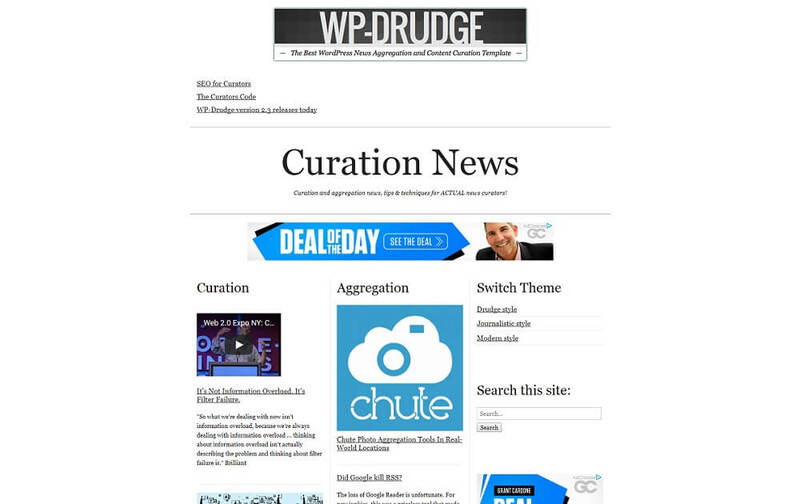 Even if you are completely new to content curation, with WP-Drudge theme, you can do it like a true professional. Heck, if you aren’t even experienced website builder, you can complete incredible work with a powerful WordPress theme. Simple to use, yet the effect if super impactful. Posting links, blog posts, videos or any other content you find beneficial for your targeted audience is easy as pie. This druge report style WordPress template has you sorted with all the needed features and extension. Once you install it, you can start adding the material almost immediately. Instead of spending countless hours designing the website, most of the work is already completed. It is only a matter of you picking up the stuff from the web and feature it on your content curation WordPress website. Inspired by Pinterest’s look and the great navigation and categorization the web design offers, Pinstagram gives you all the must-haves for the next big success story. With the implemented features of the highly popular content sharing platform, you can, too, become the leader in your niche. Create an excellent first impression with showcasing the content in the most impressive way. Pinstagram will not leave you lacking in features. Like any other from our top collection of content curation WordPress themes, this one is packed with goodies for developing an expert-looking website. However, it is not all only about the looks. The usability matters most and Pinstagram theme is well aware of it. Give it a go if this style is what you are after. Since you’ve put together this list, we released our brand new WordPress theme for Content Curators called Chipmunk. I hope someone here will find it useful!